We’re sprung on this amazing offer! 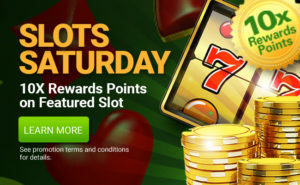 From April 6th through 11th, get up to 225 Free Spins! Make a qualifying deposit each day during the promotion period to earn bonus spins on the CanPlay Casino Million Dollar Slot. From April 6th through 8th – Each day you deposit $50 or more with promo code SPRING25 , you’ll get 25 Free Spins on the CanPlay Million Dollar Slot! From April 9th through 11th – Each day you deposit $100 or more with promo code SPRING50, you’ll get 50 Free Spins on the CanPlay Million Dollar Slot! Minimum deposit $50 for SPRING25, $100 for SPRING50. Deposit codes can only be used once per day during the qualifying promotion periods stated above. The Spring Spins Week promotion is valid from April 6th to 11th, 2019. Deposit $50 or more with promo code SPRING25 from April 6th through April 8th and receive 25 Free Spins on the Million Dollar Slot. Deposit $100 or more with promo code SPRING50 from April 9th through April 11th and receive 25 Free Spins on the Million Dollar Slot. 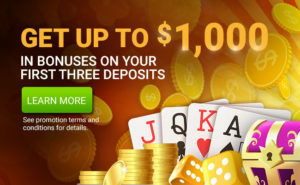 Deposit codes can only be used once per day, as specified during the qualifying promotion periods stated above. 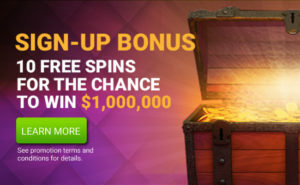 The Spring Spins Week promotion is valid from April 6th to 11th, 2019, ending at 11:59 PM ET.